STEP 1: FIND WHAT YOU’RE LOOKING FOR? FORM-6 is meant for applying for a new voter ID i.e., for the first time. (OR) Applying for a change of address which belongs to a different constituency, of course within Delhi. You will also need to enter a relation’s name who could be you father, mother, husband or anybody else. Then you need to fill in your address and mobile number. Mobile number SHOULD be either your own or one of your family member’s. Again, make sure to enter the correct number because an OTP will be sent to it which is required to complete the form. Finally, you need to sign the declaration stating that you are an Indian citizen and an ordinary resident at the address previously give by you. Certain fields have a Hindi and an english blank. This is because your voter ID card is going to be bi-lingual. The english fields are for you to fill and the hindi fields will be automatically filled, which you can check before submitting. Don’t know hindi? Just ignore it! FORM-8A is for applying for a change of address within a constituency. Before filling in the FORM-8A your details in the Electoral Roll of your previous residence is required. So make sure you have your Voter’s ID ready. FORM-8A is a simple form requiring details of your new address and the new constituency you will be belonging to. FORM-8 can be used for applying for correction of an incorrect entry in the Voter’s ID. FORM-8 is similar to FORM-8A. It requires your previous address and your current address. The constituency you belong to remains the same in this case. 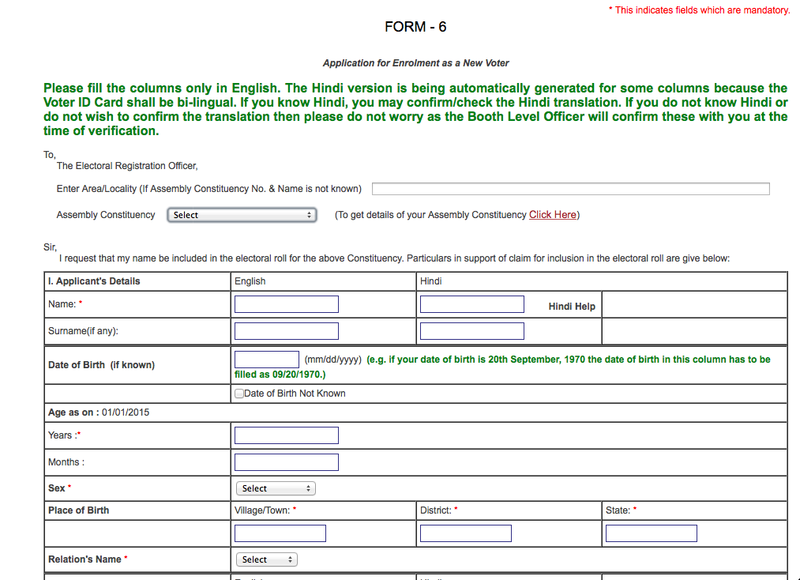 This form is meant for NRI electors. Filling in of Personal details questions, liKe in FORM-6. Apart from that it requires your Passport details like the Passport number, date of issue of Passport and it’s expiry date. Visa details are also required by this form. You need to fill in the type of Visa, place of issue of Visa, date of issue and the expiry date. You need to give a reason as to why you are currently not residing in India. Your reason can be education, employment or any other. Type out the address you are currently residing in and the official address, i.e., address of your workplace or your education institute. Finally you need to sign the declaration, enter the correct OTP and submit the form. Also Read: How to Apply for your Voter Identity Card Delhi? It is an offline form for removing or deleting a person’s name from the Voter’s list. Fill in the appropriate form and submit it. Make sure to print a copy for future reference. 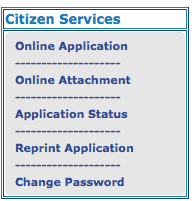 To check the status of your application online, Log into the CEO Delhi Login page online and click on the application status link on left side of the webpage.